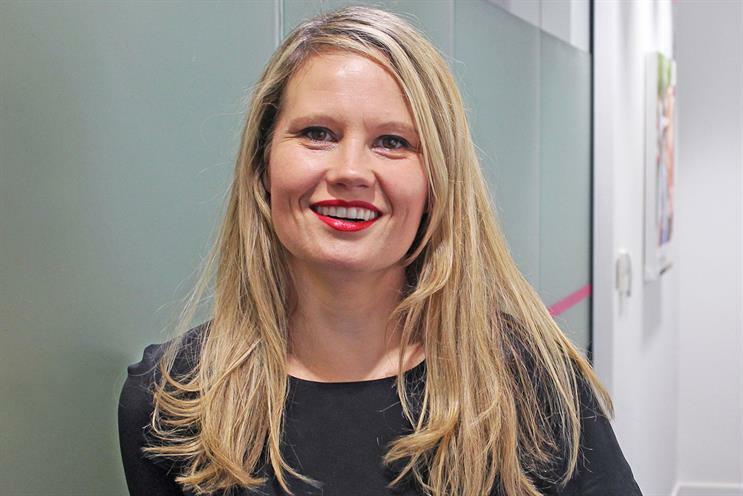 Training for the annual company charity bike ride and weaving OOH interactive tech into pitch ideas leaves little time for Amy Horton, business director at Kinetic, to wallow in her post-Olympic blues. I am woken by Betty the cat licking my eyes demanding to be fed. I switch on Radio 4 for the news. Force myself to Pilates for the 7am class in Brick Lane. I’m currently on a get-fit campaign in preparation for the annual Kinetic charity bike ride - 251km in Belgium in September. I cycle to work as much as I can which allows me to see some of the wondrous OOH campaigns along the way. While trying not to get myself killed I take in the Old Street roundabout dominated by Google. I think they have done a great job at serving adaptable and relevant creative in OOH. Along my route to Holborn I catch a couple of the new JCDecaux digital 6 sheets. I do wish TfL would allow more dynamic content. Through the fumes I catch bus adverts for Specsavers, Ben Hur and TSB, but most noticeable are the Coca-Cola wrapped buses; they really have cemented themselves into the fabric of London. I join our weekly Management Meeting first thing. My role in the client development team encompasses developing our strategic sales effort and creating engaging content to support the business. I prepare for a series of meetings across the week to ensure we have the right focus for 2017. I meet with group account director James Gardner to chat DOOH for an upcoming project with Kinetic in The Netherlands. Digital OOH in the UK is flying in comparison to other territories so we are sharing our learnings. I have an empowering chat with Lucy Daramola, our recent Media Week Rising Star winner, about being pigeon holed and labelled in media. She mentions the upcoming Glasswall seminar, which I’m keen to attend. Home: tonight’s TV feels flat without the Olympics, but it gives me an opportunity to catch up on Corrie. I think Channel 4 news is the best for in-depth analysis and I regularly watch the 8pm version on Channel 4 +1. I check social media including Facebook, Instagram and Twitter, for far longer than I should. Boomcycle with Bangs [bike fitness class] at 7:30am. It’s very sweaty, but a great confidence boost. I check the Holborn Eye digital screen on my way to get a coffee. Every Tuesday we have a short all company kick-start and this week our CEO Stuart Taylor shares his view on the downsizing of OOH’s own trade body Outsmart. My role involves coordinating Kinetic’s pitch work, so I spend some time looking at campaign ideas incorporating some of the interactive tech we are testing. Our Active team show me that Meshh has been generating much higher interactions than Beacons. Importantly, Meshh creates its own WiFi network to distribute incredibly fast digital content. It’s lunchtime and I meet Steve Cox from JCDecaux Airport. We worked together at the RAB in 1997. I don’t want to flatter his ego but he has been a constant mentor. He tells me that according to a BBC survey, Mrs Brown’s Boys is Britain’s favourite comedy show - this isn’t my definition of comedy. We also discuss the demise of Outsmart. After lunch I nip to Mindshare for a catch up. Back at Kinetic I put my proactive hat on and make a few calls across my client base to keep up to date with their business. I’m excited to be working on a new client at Kinetic, who is enthusiastic about using OOH to drive their new positioning. After work I drag myself to Pilates. At home it’s the Channel 4 news and I check my personal emails. I struggle to deal with so many marketing messages, but the word ‘sale’ is mesmerising. I scroll through a bit of Facebook and Twitter while watching the Donald Trump programme on Channel 4. Please America, no! Really enjoy the sunny cycle into work through Hackney. I can’t help but notice Apple on 6 sheets. I used to work on this account and haven’t managed to break the habit of checking it. The banners in Shoreditch look amazing - they do OOH very well and without digital. Get to work; Sir Martin Sorrell is on the telly announcing the WPP interim results. His analysis of "grinding out" business is bang on. Head to Holborn Dining Rooms for breakfast with Nick Shaw from Ocean. We discuss the market and programmatic OOH. Programmatic is one of my hats at Kinetic. My contribution is to simplify the thinking and generate the conversation. Nick is keen to talk about Ocean’s number plate recognition tech and new developments, especially Piccadilly Circus. Nick is joining us on the Kinetic ride, so we share cycling stories. Return to the office for a pitching workshop I’m running. I love developing creative ideas and looking at brands with a new perspective. I chat with one of our key direct clients to discuss programmatic testing and make plans to hold a session with their brand team. I’m home for a delivery and The Great British Bake Off. I get the central Line to Holborn. At Bethnal Green it is always nice to be greeted by the Jack Daniel’s campaign as the first thing you see. A morning meeting with Stuart Taylor and one of our agency partners about integrating digital and OOH. I head to MEC in the early afternoon and bump into Giles Darby. Straight back to meet Neil Tookey from Maxus to talk through the programmatic proposition, we have a really productive discussion. After work drinks with the Kinetic team - any further media consumption doesn’t count as it is blurred by cocktails. I have a lot of internal prep to do today so I need to focus. I’m looking forward to the Bank holiday and hope Blackburn Rovers grind out a result. Favourite media: Out of home obviously, but then any from Guardian website, the i as a physical paper and Channel 4. Not a lot of people know this about me: I can balance 5 spoons on my face.